This article outlines how to create Quote tables within a Word standard document in the CRM. In order to edit standard documents within the CRM, you must have the correct level of authority within the CRM. If you do not then please contact the Customer Services Team or the Key CRM user within your business. Firstly, you will need to choose the table style that you wish the quote table to use. 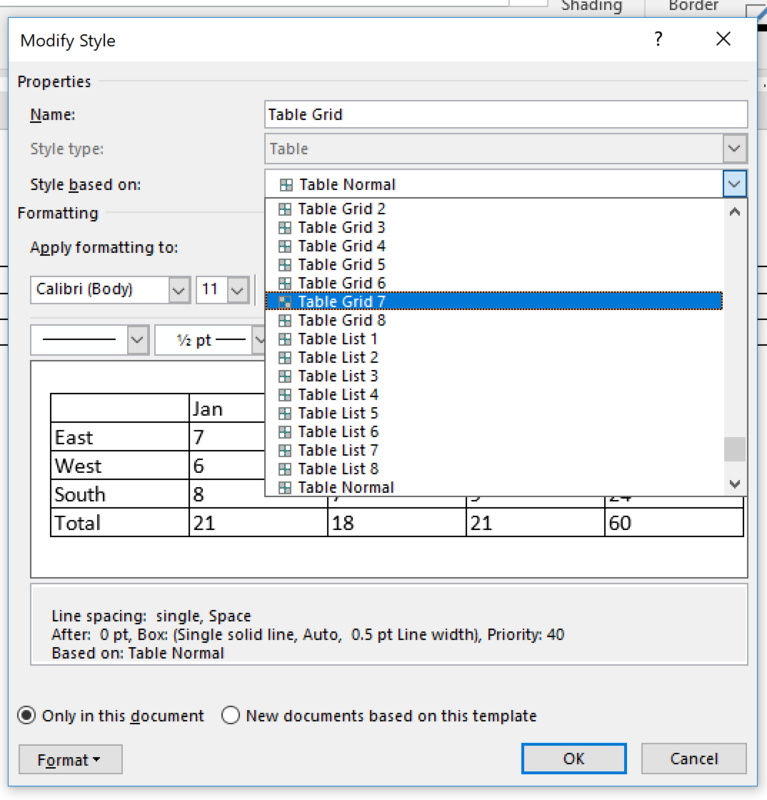 You can find these within Word by navigating to Table Tools > Design & clicking on Modify Table Style. This will then open the Modify Style window where you can view all of the different built in styles, as shown in drop down. Once you have chosen your table style, you will then need to navigate to https://crm.prospect365.com/configure/quotetable. 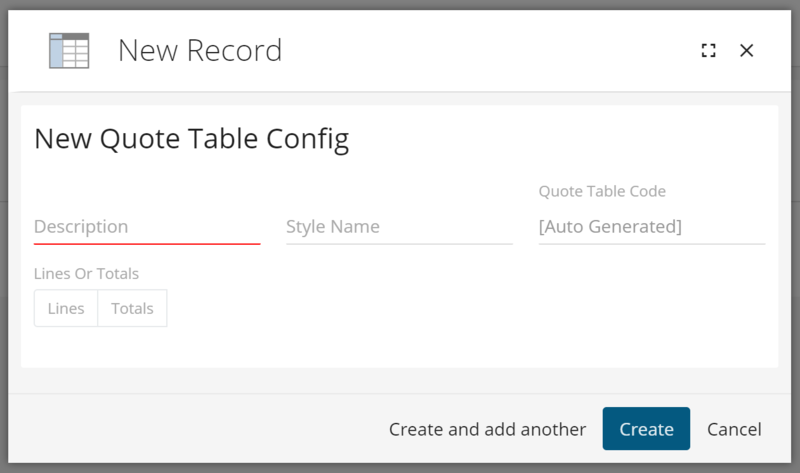 To configure a new Quote table you will need to click on the + sign in the top right-hand corner. By clicking the + sign this will open the new record window. 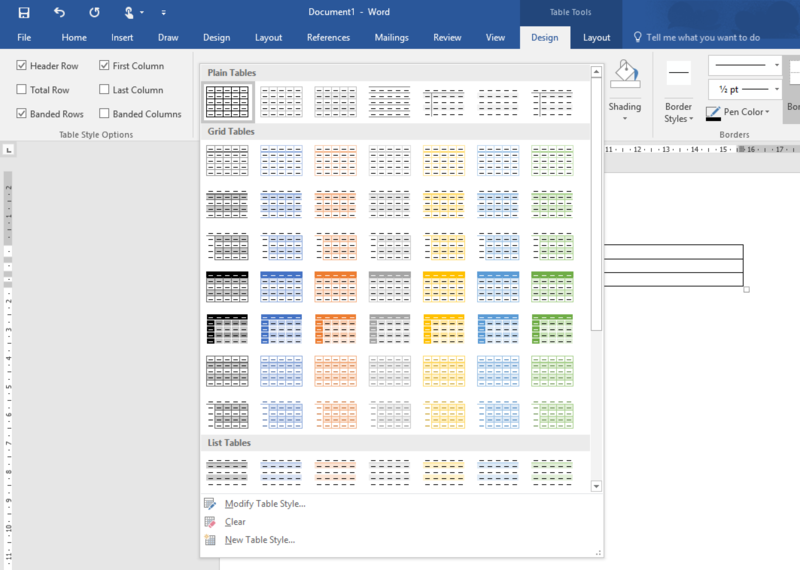 Firstly, you will need to give the Quote Table a name, this should correspond to the document that the quote table is going to be used in so it is easily identifiable. Secondly, you will need to type in the Style Name that you wish to use from Word, e.g. TableList1. Then finally you will need to select whether this Quote table is going to be the quote lines or alternatively the total table. If you selected Lines then you would have the below options. 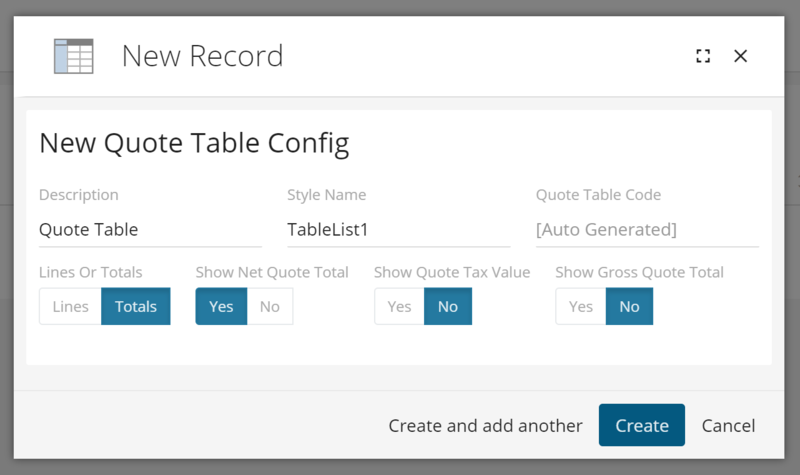 This will display all of the columns that you can have within your Quote table. Once you're happy with your selection you can click create. If you selected Totals then you would have the below options. This will display all of the columns that you can have within your Quote totals table. Once you're happy with your selection you can click create. To add your new Quote table as a search & replace field on your Word document template, you will need to copy the Quote Table Code e.g. 76dcef.